I stared at the twisted piece of the metal that my dad placed in front of me. The object was magnificent. 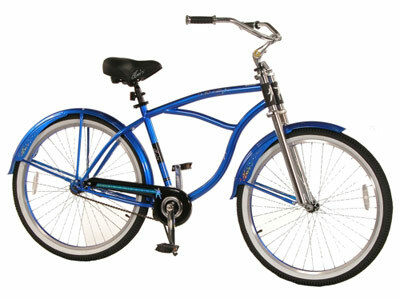 Never in my life had I ever seen a bright blue bike with white washed tyres accessorized with a tooting horn. I ran my small hands over it in awe until I looked down at the tyres. At that instant, fear gripped my heart. There weren’t any training wheels on the bike. without training wheels.” He wrapped me up in a hug and whispered. “ You can do it. I know you can.” My dad had confidence in me even though I had slammed shut the door of faith.I knew I would fall and the reflection of this truth was clear in my dad’s eyes. However he was silent from pessimism. He encouragingly helped me onto the two-wheeled monster. I struggled to face my fear as my mind wandered to instances in the past when my dad was there for me.He placed an immense trust in me and I didn’t want to let him down. My dad’s patience, confidence and experience in riding a bike himself convinced me to sit in the black seat. me to appreciate the joys of riding a bike. The more I peddled the more I loved it. the right road because as my parent, he loves me and he will do the best for me. My fear ceased because of my dad’s kind words and gentle nature. His experience and passion for living pushed me onward down the path. As I sat on the asphalt examining my cut, my dad bent down and kissed the bleeding wound and said, “Falling is a part of learning”. I did try to learn but always ended up stopping the bike by hitting on the walls! !So i gave up finally. This one has a pic of my son trying his luck. There are some things we never forget, cycling is one of them, and you son must have recollected how to cycle away after a few seconds :) Saw the pics, thats some really beautiful countryside. hehe:)unfortunately i didnt find a place where there were no wall:(:(. those pics were taken in bhrathpur national park,i think. How did you manage to get a bicycle into a reserved park?? Weren't you guys afraid of the tigers and Lions?? oh those bycyles were provided by the park ppl.dont remind me of lions !!!!! if i thought about it i wouldnt have gone anywhere near the park!! we only saw birds.